This is one of my Model T's i fixed up a few years back and sent to Mr. Ken Groom in Scotland. It gets a LOT of attention. 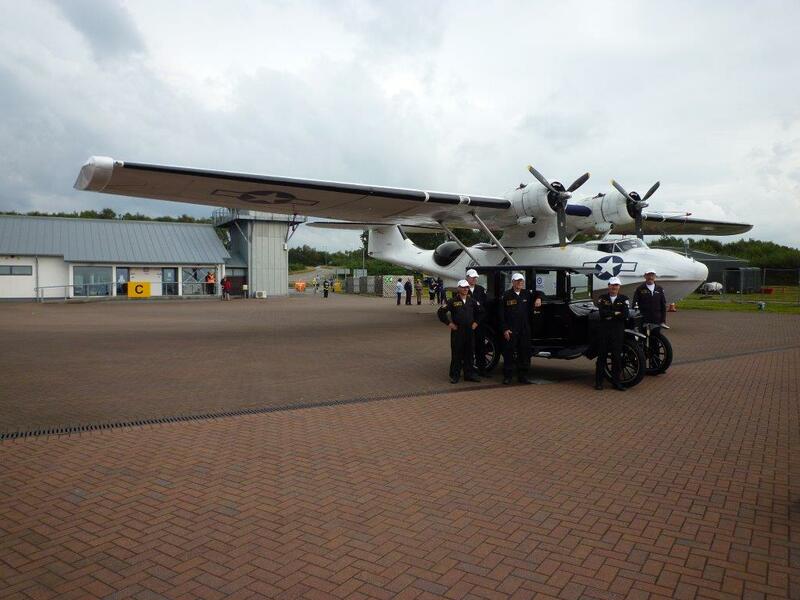 Here it is as the object of admiration of the crew of a World War 2 Flying Boat, a Catalina, in Scotland. And the PBY is appropriately named "Miss Pick Up" Nice car and bird. 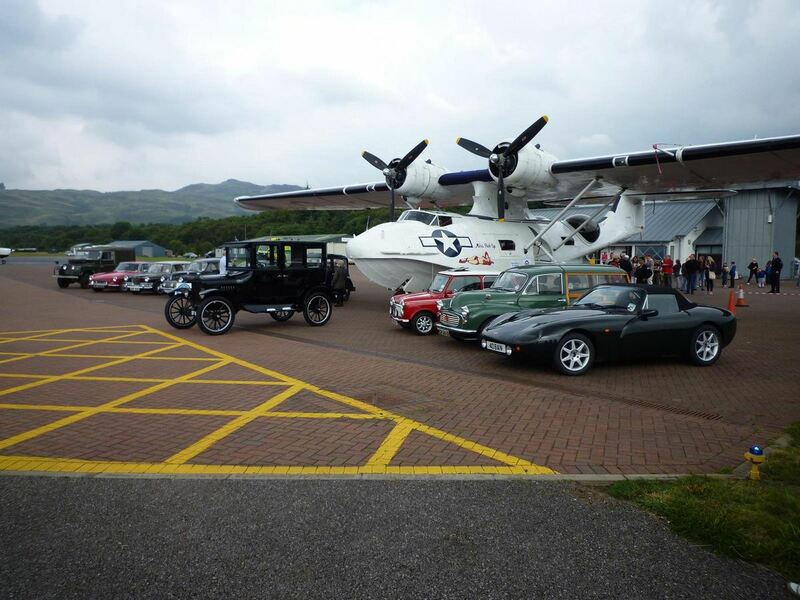 I agree it's a great picture of the cars and the plane. I love the herringbone brick pattern on the flight line. Time to inventory the bricks since it's year end so get started. The PBY is the only plane that I stood up from taxi, to take off, in flight, to landing, and taxi in (it was a short flight) never sitting down. I'd like the Morris or MG in my garage! The Mini is just too small.